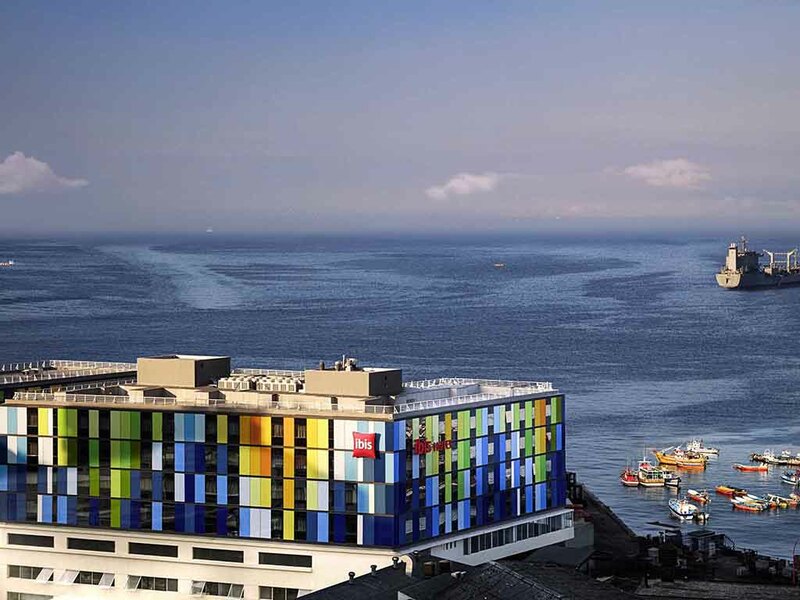 The ibis Valparaiso hotel is located close to Sotomayor square, the historic, tourist, business, culture and maritime center of Valparaiso. The hotel has 184 rooms, all equipped with air conditioning/heating, soundproofing, LCD TV, telephone, free WIFI, s afe and hairdryer in the bathroom. Enjoy a quick snack or a delicious coffee at our "Comes & Bebes" restaurant, open 24 hours. Breakfast is served from 4am to 12pm. Modern and inviting, the new ibis room has everything you need: a large bathroom, modern decor, a comfortable bed with a duvet, Internet access with free WIFI and a flat-screen TV with the best international channels. Our Comes & Bebes bar is open 24 hours a day for snacks, sandwiches or a quick bite to eat. Drinks and a cafeteria service are also available.